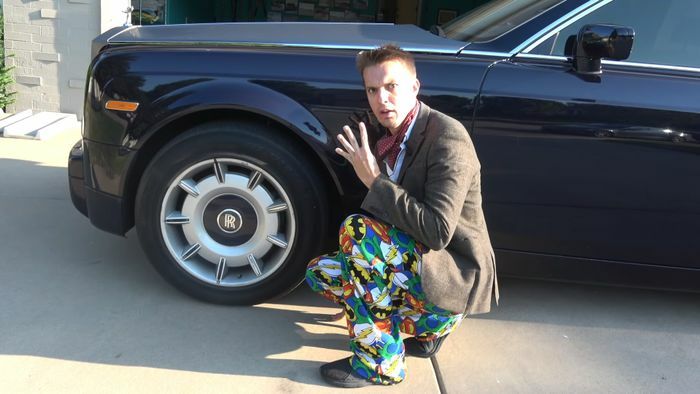 Earlier this week YouTuber and glutton for punishment Tyler Hoover unveiled his new purchase: a slightly broken 2005 Rolls-Royce Phantom that cost him $80,000. 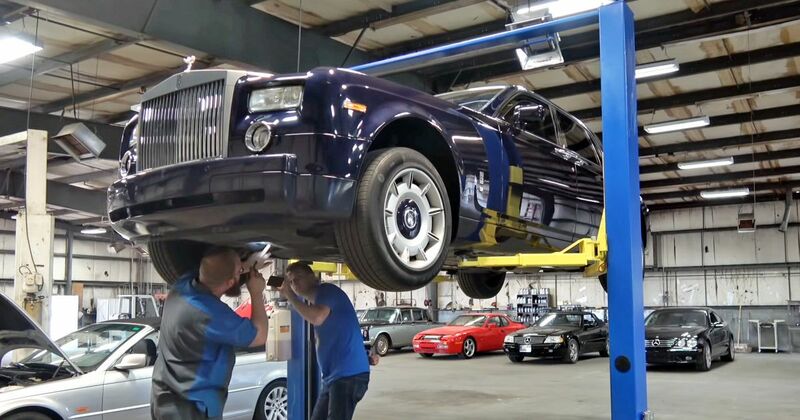 He’s now taken it to a garage he trusts, and the estimated repair bill is terrifying. Some of the car’s problems should be relatively easy to fix, like the various issues around the front end bonnet wrap and corroded chrome trim. Others, like tyres that physically aren’t available any more and damaged wheels that, as they are, won’t accept any other rubber without serious modifications, won’t be so simple. Oh, and before you ask, a new set of wheels would be $4000. Another awkward one is ugly delamination beneath the rear windscreen. A new screen would cure it, but the price – not disclosed in the video – might be enough to give Hoover a stroke. Finally, the proper umbrellas are missing from both rear doors. Guess how much. Nope, they’re $900 for the pair. The last owner probably sold them on eBay. On the mechanical side there are small problems, like the sunroof buttons having detached and stopped working, and a minor power steering fluid leak from a suspected dodgy washer along the metal line. Both window regulators need replacing, at $1300 each, and the CD changer won’t load CDs. Now, the big stuff: there’s a slight oil leak. It might be nothing, or it might not be. If it’s something, then Hoover had better brace for a serious assault on his finances. Finally, there’s the suspension. A fault code reader identifies the fault as being something to do with accumulator pressure. Expensive. With a few short-cuts here and there the optimistic YouTuber hopes to get all the jobs done for a lot less than the $10,000 estimate. We’ll soon see how he gets on.